Chinese ecommerce giant JD.com has launched an online shopping service, called “JD.ID Virtual” at nine train stations in the Greater Jakarta region. With these services, consumers are able to choose goods through banners which look similar to supermarket shelves at the train station. Upon scanning the QR codes of the items and making an online payment, the items will be sent directly to one’s home. According to Tech in Asia, the China-based e-commerce company has been expanding its presence in Indonesia lately. Earlier last month, JD opened an unmanned store in Jakarta, its first push outside of China, an article on China Money Network said. 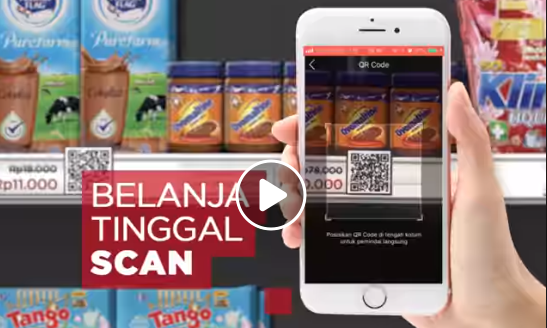 The Jakarta branch allows customers to pick up items and check out themselves as there is a radio frequency tag on objects as well as a face recognition at the exit area. This will allow customers to make credit card payment upon scanning for recognition. Most recently, Google invested US$550 million in cash into JD.com as part of a strategic partnership. The move will see both parties collaborating on a range of strategic initiatives, including the joint development of retail solutions which covers regions such as Southeast Asia, US and Europe. The partnership also aims to leverage on JD’s supply chain and logistics expertise and Google’s technology strengths, and aims to explore the creation of next generation retail infrastructure solutions. This is with the goal of offering helpful, personalised and frictionless shopping experiences, the statement added. Don't drink and fly: Can one drunk pilot saga stain SIA's pristine image? Vikram Sakhuja will join the Madison Media Group as equity partner and group CEO. More here on the move. ..